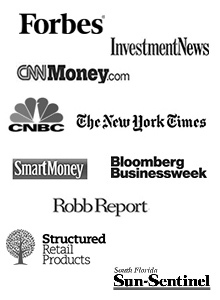 Tom Balcom, Founder of 1650 Wealth Management, was invited to speak on May 5, 2011 at the 6th Annual Structured Products Americas Conference ( http://www.structuredproductsamericas.com) hosted at the Biltmore Hotel in Coral Gables, Florida. Tom utilizes structured notes as a risk mitigating tool within his clients’ portfolios and remains focused on researching new opportunities in this area. He will be discussing the utilization of structured products as a tool for diversifying a portfolio internationally. Tom was the recent winner of the Structured Products Association LeadingEdge Advisor Award ( http://www.ibiswealth.com/in-the-news/2008-leadingedge-advisor-award-winner/).